Although it may seem like bones are made of a hard material, they are actually an elegant combination of hard and soft materials. A primary component of bone is collagen, which forms a soft protein network. This network then provides a scaffold for calcium phosphate, a mineral that provides bone with its hardness and strength. This mixture of hard and soft material enables bone to be flexible enough to withstand impacts, but rigid enough to maintain its structural integrity. Bone tissue, like other tissue in the body, is alive and therefore able to grow and heal. The material in bones is always being resorbed (or removed) by the body and simultaneously replaced. Around the age of thirty, the rate of resorption overtakes the rate of replacement, causing bones to slowly weaken. When these rates become too disparate, osteoporosis can develop, causing bones to become weak and porous . Bone fractures are more common in patients with osteoporosis, and when they occur, treatment is often needed at the site of the break to promote bone regeneration. The typical treatment in these cases is an autologous bone graft, which involves taking bone from another area in the patient’s body and transferring it to the fracture site to help promote bone regrowth. This technique has two clear downsides: there is limited availability of bone tissue for grafting since it has to come from somewhere else in the person’s body, and removing bone tissue for a bone graft can cause damage to the donor site. As a result, researchers are working to develop synthetic materials that can provide a better alternative to autologous bone grafts. A promising material would promote bone growth and be strong enough to sustain bending and support weight. Additionally, it needs to be non-toxic and not cause an immune system reaction. Synthetic bone graft materials already exist, but they do not work as well as bone grafts taken from the patient’s own body because they are not as mechanically strong and they do not promote as much bone growth. Hence, the search for better synthetic bone graft materials continues. In today’s paper, Mani Diba and co-workers investigate a new synthetic material for use in the regeneration of bone tissue in osteoporotic patients. The material in question is a colloidal gel, which is a disordered network structure made of microscale particles suspended in a liquid. This network allows the material to resist applied forces and behave like a solid, even though it may be mostly made up of liquid. Colloidal gels are different from chemically covalent bonded gels , like jelly or agar, because their building blocks are microscale particles instead of polymers. These particles bond to each other mostly because they are hydrophobic, or water-repellent, so they would prefer to be next to each other than surrounded by water. The bonds between the colloidal particles are reversible, meaning they can break and reform more easily than covalent bonds in polymer gels, which allows the colloidal gel network to be more adaptable and reform after being broken apart. The behavior of the colloidal gels is similar to that of toothpaste, which acts like a fluid as it is being forced out of the tube, but once it stops being squeezed it becomes more solid again and doesn’t flow off your toothbrush. For a bone graft material, this means that the colloidal gel can behave as a liquid as it is being injected into a bone defect, and then harden as the network reforms once it’s in place. While this is not a requirement for bone graft materials, it does make the material easier to put in place at a bone defect site. The researchers prepare a colloidal gel by mixing gelatin particles and glass particles in water (see Figure 1). This choice of particles mimics the structure of bone tissue by using gelatin- a soft material- with glass, which is hard and provides mechanical strength. In order to be a good replacement for a bone graft, the gel must satisfy two main requirements. First, it needs to be mechanically robust to serve as a load-bearing scaffold for bone growth. Second, it needs to be biocompatible, meaning that it should support the growth of new bones. The first set of experiments in this paper look at the mechanical properties of the colloidal gel by measuring its storage modulus, which characterizes how strong the gel is. The researchers find that increasing the ratio of glass to gelatin particles or increasing the total number of particles in the gel increases the storage modulus by a factor of more than 100, from about 0.1 kilopascal to tens of kilopascals. The gel is also able to recover its initial storage modulus after being broken apart by shearing, similar to how silly putty can recover its mechanical properties after being stretched. This indicates that the network is able to reform in the bone and become solid again, as expected. After characterizing the gel’s mechanical properties, the researchers investigate whether it can promote new bone growth.  The growth of new bone starts with the multiplication of osteoblasts, or bone-forming cells, that produce bone matrix material. A signature of this process is an increase in the levels of certain enzymes. Once the matrix is well formed, it undergoes mineralization, which is the deposition of inorganic material (calcium) onto an organic matrix (collagen). This process can be monitored by measuring the amount of calcium added to the area . The researchers track these two indicators, enzyme levels and calcium deposition, to measure the biocompatibility of the gels. Diba and coworkers study the biocompatibility of the gels both in test tubes and in living animals. In the test tubes, they only find significant mineralization at a glass to gelatin ratio of 0.5 (the highest investigated), which also corresponds to the largest peak in enzyme levels. For testing in animals, the researchers therefore opt for a composite gel with a glass to gelatin ratio of 0.5 and compare the bone growth to that with a single-component gel with no glass particles. The researchers implant these gels in bone defects in the femurs of osteoporotic rats and measure the amount of bone growth after 8 weeks. Surprisingly, in the rats, the addition of glass particles to the gel did not increase the amount of bone mineralization beyond that seen in the single-component gel as the researchers hoped. However, the bone growth in the composite gel did show more blood vessel-like structures than in the single component gels (see Figure 2), which is important because bone—like other living tissues—needs blood flow to supply oxygen and nutrients, as well as to remove waste products. Though the researchers in this study did not find the desired increase of bone mineralization in live rats by using a composite gel instead of a single-component gel, they did see other indicators of improvement. Including glass particles increased the storage modulus of the gel, indicating more mechanical strength. They also saw indicators of improved biocompatibility. The bone growth in the composite gel showed an increase in blood vessel-like structures, and they found test tube results which suggested that including the glass particles may still improve mineralization if a higher ratio of glass to gelatin is used. Considering these improvements over a single-component colloidal gel, this composite colloidal gel is a promising development in the search for better bone graft materials. Covalent bonding is the sharing of valence electrons, which are in the outer shell of electrons, between atoms to make a full valence shell. Any time two non-metals come together they will share their valence electrons. Next PostNext The living silly putty, episode 2: the spreading!